Discussion, discussion, discussion. Bioethics Discussion Blog is just that: a place for discussion. Discussion: talking about the issue, listening to different views, responding to them civilly and attempting to achieve a decision acceptable to all participants. 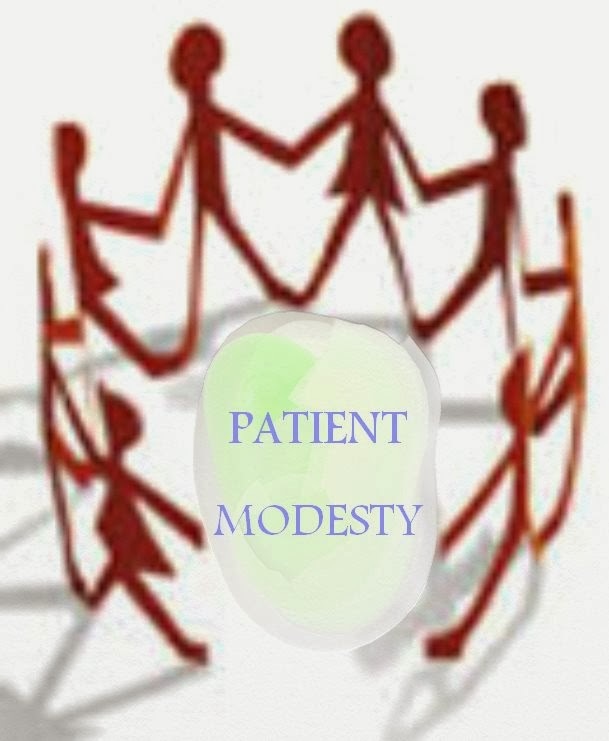 The patient modesty issue has been open for discussion here for the past 8 years. Unfortunately, the discussion has been one-sided in that it has been hard to find views in general conflict with the majority view here. It may be that the title "Patient Modesty" fails to attract the attention and subsequent access to this website thread by all those patients who may think the issue is a "non-issue" in terms of personal health management and there are more important factors involved such as medical expenses and achieving the goal of resolution of the symptoms safely and effectively, curing the illness and moving on with ones life. But a one-sided "discussion" is literally "preaching to the choir". Let's encourage those visitors who come and look but have a more temperate view of patient modesty issues in medical practice put in their "two cents" into this blog thread by writing a commentary. ..Maurice. A Doctor's Gift to the Patient: Is it Ethical? Is it Professional? It is 5 pm on Friday afternoon. After 2 hours on the telephone trying (and failing) to get her insurance plan to pay for her medication refill, I reached into my pocket and handed the patient $30 so she could fill the prescription. It seemed both kinder and more honest than sending her away saying, “I’m sorry I can’t help you.” While I hardly expected a commendation for such a simple act of kindness, I was completely surprised to find myself being reprimanded for my “unprofessional boundary-crossing behavior” after the resident I was supervising shared this incident with the clinic directors. This allegation of an ethics violation was not only personally painful; it also raised important, controversial, and timely questions about appropriate professional roles. This is a brief excerpt from an article by Gordon D. Schiff MD in the "Piece of My Mind" section of the September 25 2013 issue of the Journal of the American Medical Association. Unfortunately, the simple story as presented by Dr. Schiff becomes much more complicated when one considers all the ethical and professional possibilities which such a gift of money to pay for filling a prescription presents as an example. Some possibilities may relate directly to the behavior of the patient. For example, couldn't that gift instead of going toward the patient's healthcare be used by the patient to purchase an illicit drug or alcohol to sustain a hidden drug habit or alcoholism? Couldn't that gift begin an ongoing expectation by the patient for further "contributions" by the doctor on subsequent visits? And then there is the issue of crossing the current line of a doctor moving from a professional relationship towards a patient to a more personal relationship. Though developing some personal financial relationship or any intimate personal or sexual relationship is strictly forbidden by current professional ethics and medical practice regulatory laws, where does giving the patient a gift cross the line of strict professional behavior such as that of primarily self-interest? For example, would giving the patient a bouquet of flowers for her birthday be getting "too close" to the patient or would giving a piece of jewelry of more ethical concern? In these days of medical practice with the limiting of physician paternalism and stressing patient autonomy and with limitation of time with patients due to large patient loads and attention to professional regulation to prevent unprofessional closeness, a "detached, arms-length, uncaring relationship" may unfortunately be encouraged. But is that we all want from our doctors? Shouldn't there be some signs of care and interest in the patient beyond that which is purely clinical? It will always be society which should finally set the standards for medical care and how one should look at that $30 gift provided by that doctor. Do you think it was appropriate for the clinic directors to reprimand the physician for what was done? If the gift is looked upon as charity would that make the action of the doctor more professional? As the patient, how would you look at such a gift or even some other gift from your doctor? Addendum: With regard to "gifts" in medical practice, how about the issue of whether patients should be giving gifts to their physicians. I cover that issue and followed by visitor commentaries in a blog thread titled “'Pick one.. it’s Yours': Patient Gifts to Their Doctors"
Graphic: From Google Images and modified with ArtRage and Picasa3. Informed consent is the ethical and legal hallmark for the support of patient decision-making in medicine. Though the ethics of patient communication of facts without deceit has been part of medical consideration for generations, it wasn’t until the landmark decision Schloendorff v The Society of the New York Hospital in 1914 that informed consent became United States law. Informed consent has been also been emphasized from the aspect of medical ethics, in recent decades, as decision making has moved from physician paternalism to patient autonomy. Patients awaiting medical/surgical procedures are currently given variable content and amounts of information about their illness and the procedure itself and the risks and outcomes anticipated. Some general information is provided as a printed form and patient specific details is provided directly to the patient or surrogate by a healthcare provider, hopefully one who is a participant in the procedure. The matter of the patient being fully informed as to the upcoming procedure may be complicated in teaching hospitals where, in addition to the attending physician and surgeon, fellows, residents, interns and medical students may be present during the procedure and actually may participate to varying degrees as part of formal training exercise. How much detail regarding this possible array of “learners” and what duties they will carry out that is withheld or actually given to the patient as part of the informed consent procedure is unknown but possibly minimal if even presented at all. One realistic scenario that could have been presented to those study patients would have involved their awareness that a subtle or at times not too subtle dilemma develops for those who teach the trainees in teaching hospitals. A description of that very personal dilemma of teaching to a trainee a medical procedure on a patient with its opposing risks vs benefits to both is beautifully presented in the “In Practice” column of the July-August 2013 issue of the Hastings Center Report titled “Patient and Trainee: Learning When to Step In” by Christy L Cummings. The goal is to provide the opportunity for the trainee, primarily an intern or resident or even a fellow physician, to adequately learn a procedure with supervision on a patient so that in the future that physician will be able to repeat the procedure on their patients effectively and safely. The goal of both the teacher and trainee is, at the time, similarly, to complete the procedure effectively and safely. This opportunity, despite the teacher observing and communicating with the trainee, nevertheless has with it the uncertainty of a procedure gone wrong, not completed and the patient about to be worse off. This was the case as Dr. Cummings was observing her trainee unsuccessfully attempt to insert an endotracheal tube into a premature baby who was at first stable but then with repeated attempts the baby’s condition deteriorated. So, if difficulties appear both in the task itself and the condition of the patient, a new uncertainty arises for the teacher. When should she intervene, put her “hands on”, taking over the task of performing the procedure and remedying any serious problems with the patient’s condition? If she intervenes too quickly, the trainee may miss a valuable opportunity to personally handle, with the teacher’s advice, a difficult situation and complication thus learning for the care of future patients. On the other hand, it is the teacher’s responsibility to attend to the safety of the patient and the completion of the goal of the procedure. When should the teacher take over? This dilemma is not at all rare and, as such, one could reasonably ask whether these uncertainties should also be part of the information provided to the patient in a teaching hospital for truly informed consent. And If not, why not? 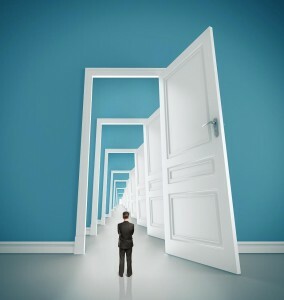 Concierge Medicine: Opening the Door to Better Medicine? 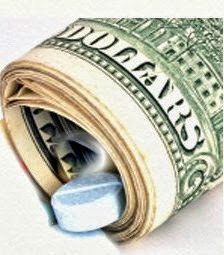 Whether it is called Concierge, Boutique or Retainer medicine (all the same), it is here and most likely here to stay. It is all about patients paying a yearly fee to their doctor for a quality of care not readily available to patients who feel they can't afford to pay for that system of care. This current thread is the third in a series I have presented on my blog over the years: 2007: Where Have All Those Doctors Gone? : Coming Back in BoutiqueMedicine? 2009: Primary Healthcare Boutiques and Healthcare Reform. What I think is special about this current thread and unlike the other two, I have had the opportunity to utilize an active practitioner of "retainer medicine", whom I know, present his view of his profession and critique an article by William Martinez MD and Thomas H. Gallagher MD in the July 2013 issue of the AMA's Virtual Mentor titled"Ethical Concierge Medicine?" Now go to that article, read and then return and read the critique below by the practitioner along with his personal description of the practice. I read with interest the provocative commentary by Martinez and Gallagher in the July issue of the American Medical Association Virtual Mentor. Their commentary, in fact made more provocative by not addressing specifically the very thoughtful and comprehensive counterpoint Opinion piece by Huddle and Centor in the Annals of Internal Medicine (Ann Intern Med. 2011;155(9)) listed in their references. The ethical role of physicians and the delineation of a physician’s social responsibility beyond professional ethics to their patients are exquisitely described by Huddle. That is not what actually interested me. Rather what has much greater interest is delineating with accuracy what these “retainer physicians” who charge fees that are not recognized as “covered services” by Insurance Companies or Medicare actually do. What these physicians actually do is take the time to listen and educate their patients. These physicians, not constrained by 10 minute encounters can focus on Preventive Medicine, Wellness, Education, and when needed intense Illness care including personal care coordination with specialists. These physicians are not providing “luxury” services. They are practicing Preventive Medicine. They are not merely providing services as a matter of “comfort and convenience” as asserted by Martinez. Physicians who practice in this manner certainly do recognize that their first responsibility is to the care and wellbeing of their patient. When physicians reduce their practice volume to allow more time for individual patients it is not without concern for those patients unable or unwilling to pay the additional fees for enhanced prevention. Physicians who undertake this transition are not pure profit motivated individuals. They're the same physicians who chose to take on the significant financial and personal sacrifice that comes from being Primary Care Physicians in the first place. These physicians did not take the “R.O.A.D” to happiness by seeking the far more lucrative Radiology, Ophthalmology, Anesthesiology, and Dermatology path where their schedules do not carry the same degree of 24/7 burden of responsibility. The physicians who transition their practice are not uncaring individuals with selfish disregard for their current patients who won’t or can’t participate in the preventive medicine practice. In contrast to the unfounded assertion of Martinez, physicians who undertake this transition uniformly assist their patients in locating new physicians who are often associate physicians within their own practice. Moreover, in further contrast to the erroneous assertion of Martinez over time the physicians who are practicing in this model have clearly demonstrated significant improved health outcomes-- improved outcomes that benefit not only the individual patient but all the other stakeholders in medical care. There is now clear evidence of a significant cost saving and improved outcomes to the patients, their employers, the Insurers and Medicare by reduced frequency and severity of illness. In December of 2012 Klemes and her group at MDVIP documented in their report published in the American Journal of Managed Care an extraordinary reduction in the frequency of hospitalizations as well as reductions in readmission rates for patients in this model. By the estimates of Klemes there was a $2500 savings per patient as a direct result of decreased hospitalizations alone. So what is wrong with capitalizing on an enhanced doctor- patient relationship and take the time unavailable in traditional practice to have our patients live longer and better? In a companion Editorial in that same issue of the Annals of Internal Medicine (Ann Intern Med. 2011;155(9)) Bernard Lo posits “Retainer Medicine: Why Not for All?” In that Editorial Lo correctly points out that “retainer medicine physicians cannot by themselves solve the problem of poor access.” After all, by the calculations of the Kaiser Family Foundation and larger groups of preventive medicine physicians such as MDVIP physicians in this model represent less than 1.5% of Primary Care Physicians. Yet, even this very small number of physicians practicing in this model of prevention has certainly stimulated a dialogue that hopefully will get the attention of the politicians, the government bureaucrats, and the general society where health policy is made. It is this dialogue about fostering the fundamental relationship and mutual trust of the healthcare provider, the doctor and the patient that will bring better health to us all. And now my comment. I think that unless HMO medical practice makes drastic changes in how patients are allocated to their physicians and paid for and/or an impressive influx of general medical practitioners occurs, with the population of new patients enrolled in the Affordable Care Act, medical practice, in general, will be moving away from what Dr. Abraham Verghese speaks out for and is discussed in my recent blog thread "Eye to Eye Communication and Laying On of Hands: Anachronistic Medicine?" .Dr. Verghese says " the ritual of one individual coming to another and telling them things that they would not tell their preacher or rabbi, and then, incredibly on top of that, disrobing and allowing touch -- I would submit to you that that is a ritual of exceeding importance." Of course, medicine is much more than simply that ritual but without medical system change it may well be that we find that it will only be the "retainer" physician practice that will be providing that superior attention and care toward each individual patient which characterizes the best in the doctor-patient relationship. What do you think? ..Maurice. ADDENDUM 9-14-2013: It is my hope that with the help of the retainer physician who wrote the critique and description above and perhaps other retainer physicians, the retainer practice can be dissected within the Comment section of this thread for the public and other physicians with the anatomy and physiology of retainer practice. Some issues of interest would be matters of patients having developed extreme trust with a physician who now leaves common practice and goes into retainer medicine and the patient, not following, but provided with another physician may struggle to develop and perhaps fail to develop trust with that new physician. Another aspect of the practice is how a scale of various levels of provided services with varying yearly fees is developed and executed. I am sure my visitors will have more questions regarding retainer medicine practice which hopefully will be answered by the knowledgeable practitioners. ..Maurice. Graphic: From Evolllution.com via Google Images. Eye to Eye Communication and Laying On of Hands: Anachronistic Medicine? It is clear that there have been and will be important changes in the way medical care of patients is being and will be practiced in the future. With the technological developments both in terms of communication by healthcare providers with patients by way of the internet, the use of the internet for patient self-diagnosis, the use of electronic medical record devices in the medical office and hospital to store text and graphics, the diagnosis and treatment with devices never anticipated generations ago and the continuing systems of care which tend to limit the time physicians can take with their patients, there is a real question as to whether the teaching of history taking and physical examination to the students in the first years of medical school is really anachronistic. Is the current teaching of methods for developing the doctor-patient relationship that can become emotionally supportive and therapeutic for the patient and in addition lead to diagnosis and hopefully effective treatment becoming outdated? We currently teach our students to take time with the patient, to take a medical history or discuss the patient's case sitting face to face, eye to eye and the importance of the hands of the physician actually on the patient's body performing the classic procedures of the physical examination. But some may argue that much of this is unneeded, unnecessary, impractical in this current age of medical practice. It is said that in this age of patient autonomy and the patient's now access to medical information beyond that coming from the doctor's office and with the limited time available with the doctor, detailed sit-down history taking is unnecessary. And, as far as the physical examination is concerned, will modern technical devices such as ultrasound, CAT scan and MRIs amongst others provide better sensitivity and specificity to the making of a diagnosis than anything that hands or stethoscope on the patient's body can accomplish? Dr. Abraham Verghese, physician and professor at Stanford University School of Medicine and recorded in an 18 minute video TED talk "A Doctor's Touch" , available through thislink, presents the contrary view that what we are currently teaching our students is still what we should be teaching. Watch and listen to the talk and then come back here and tell us your view as to whether we should continue to teach the medical students in the way Dr. Verghese finds is the right way or should we modernize to something else. How do you want your doctor to treat you? ..Maurice.